Digital transformation is sweeping the Ecommerce industry and consumers today are much better informed and more connected. They want mobile shopping, personalized service and instant gratification. These changes are giving rise to a host of innovations around omni-channel retailing, customer data mining, responsive supply chains and cutting-edge in-store self-help technologies. As ecommerce sales trends continue to evolve, we help optimize your ecommerce business processes and metrics to increase revenue, engagement, conversions, and loyalty. Infonex has delivered ecommerce solutions using Magento, Hybris, Drupal, Laravel, HTML5 and leading mobile platforms such as Android and iOS. Furthermore, an ecommerce solution built by Infonex can be relied on to be both scalable and secure, while at the same time be feature-packed and high performing to meet the needs of any size entity.Most notably though, not only can Infonex provide expertise and optimization with respect to leading ecommerce platforms but its ecommerce experts can also assist with initiatives related to ecommerce strategy such as increasing revenue per shopper, improving customer experience, streamlining processes, customer re-engagement, reducing abandoned shopping carts and employing multi-touch customer engagement programs to name a few. Infonex's relationships within the eCommerce ecosystem have established a true ROI for our clients. With over 14 years of ecommerce deployments and a proven track record for project success, Infonex takes great measures to ensure that all of our code is always following BigCommerce best practices and guidelines. Infonex also offers the most flexible support packages available to allow you to focus on the business and leave the technical support to us. We firmly believe that our clients should only pay for support they actually use. Whether you are looking to enhance your B2C site, drive up your profit margins, or make those calls to actions more effective, Infonex's ecommerce web developers are ready to offer solutions, tailor made for you by our ecommerce experts. From simple sites to more complex integrations, our ecommerce web developers have the ability, and track record to transform your ecommerce capabilities. 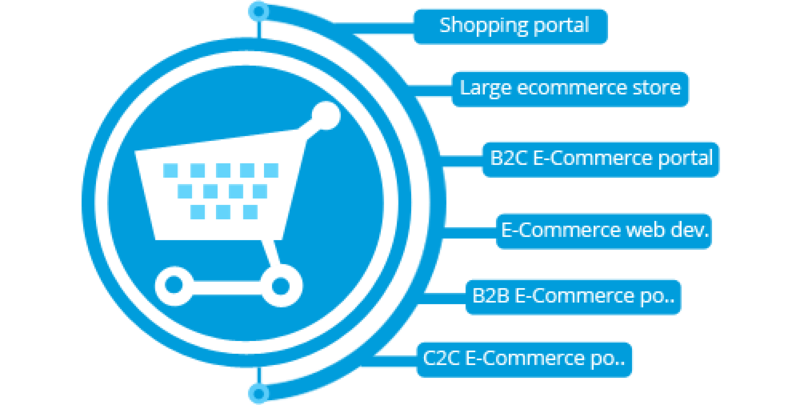 Infonex’s ecommerce experts will help build your business platform, helping you drive greater sales through strategic innovation. Align your e-commerce initiatives with what customers want and get there fast. We know ecommerce strategy and development. We build great looking professional experiences and can make the generate optimal revenue for the enterprise. One size does NOT fit all. Pay for eCommerce application support that you use and nothing more. Agile Delivery - The sooner retailers get new capabilities to market, the sooner they can measure impact and make refinements. Our agile delivery methodology brings together business, creative and delivery teams to create top retail experiences.